Let's Know Does Laser Tattoo Removal Hurt Or Not? 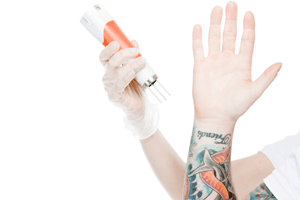 BlogHome » Does Laser Tattoo Removal Hurt? At Think Again Laser Clinic you can rest assure you are getting real advice you can trust. Our specialists are also having tattoos removed so can confidently guide you through the process and from experience explain what you can expect during and post treatment. 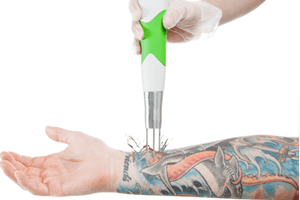 It is easy enough to say “tattoo removal can be compared to the flicking of an elastic band”, but if your specialist hasn’t experienced this themselves, how can they really know? How can they confidently guide you through the expectations post treatment? Pain is of course an individual tolerance and no two people will experience or express that they have felt the same amount. While some may have a higher threshold, others have one much lower and this is entirely subjective. It is true that some individuals are more sensitive to pain than others and while the cause of the pain does play a part; researchers from WebMD Magazine discover that your gender, your stress level and your genes all contribute to your sensitivity to pain. Our clients having tattoos removed from generally ‘sensitive’ areas must also realise that this will play a part in how painful the process is. Areas on the body with little to no muscle such as the face, neck, collarbone, inner upper arm, wrist, hands, hipbone and feet are commonly expressed that they are more painful than areas with more muscle mass. Process of tattooing requires professional expertise. Mike would describe his pain threshold relatively high and is removing a predominately black and red tattoo from his calf muscle. Chloe would describe her pain threshold as relatively low and is having her black, green, pink and purple tattoo removed from her ankle. Chloe – It does feel like a hot elastic band flicking your skin, yet there is some element that feels almost like scratching. Mike – It is hard to describe, the elastic band flicking the skin is the best description I have heard to describe the sensation. 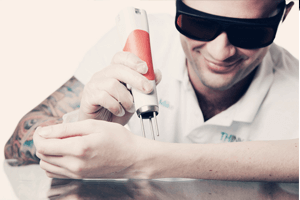 Is laser tattoo removal a painful process? Chloe – Every spot the laser is applied I feel some level of discomfort. The whole process is over within a couple of minutes, so although it’s uncomfortable it’s over and done with quicker than I realise. Mike – Of course there is a degree of pain felt. I equate the pain to that of receiving a tattoo. Our treatment is over ten times quicker though, so it is much easier to sit through knowing it will be over in a matter of minutes rather than hours. Does numbing cream really work when having a tattoo removed? Chloe – I used Dr Numb available in our clinic. I applied it to my ankle one hour prior to treatment and I definitely felt the effect. It took roughly just over an hour before I began to feel little sensation in my foot and walking was a strange experience! I wouldn’t do a treatment without it, only because I know my pain tolerance isn’t very high! Mike – I wouldn’t know! I was able to sit through quite a large treatment without any sort of discomfort that made it necessary to use the cream. This is a matter of opinion of course. Some clients would rather numb the skin first with creams and some don’t; if you have any doubts I would recommend using Dr numb which is available in the clinic. Are you satisfied with the Cooling System Technology? Chloe – Yes yes yes! A small portion of my tattoo was removed without the cooling system just so I could see if there was any noticeable difference. The cooling system greatly increases my comfort level and there is no way I would have this treatment without it. Especially directly after treatment when the cool air is still applied to the skin, it reduces the ‘hot’ feeling and I easily forget about any discomfort. Mike – Undoubtedly!!!! I can’t believe that with this technology available, people are still putting clients through extreme levels of pain by not using one. I tried without any cooling and the pain multiplied by ten. It is quite annoying to me that people give the industry a bad name by exposing clients to unnecessary pain. I would never dream of undergoing this treatment without a cooling system. Not to mention the fact that the cooling minimises risk of thermal damage to the skin by removing the small amount of heat generated almost immediately. How would you describe your experience of having a tattoo removed? Chloe- Although mild discomfort is experienced, the process is over in a few minutes. I am happy knowing that I am being treated by the best laser technology available so I am guaranteed to get the best results from each treatment. I also feel satisfied that I can now guide each client through the process from my personal experience. Mike- Without being biased, the experience really isn’t that bad, this is confirmed by numerous client accounts and reviews on our page! The feeling of having an unwanted tattoo is MUCH worse than being treated by professionals with the best equipment. 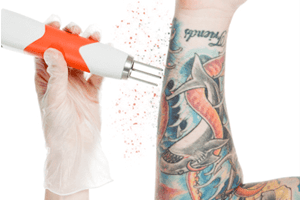 What will my skin feel like post laser tattoo removal? Chloe- For the next 2-3 hours it feels considerably like sunburn, it is tender and sensitive to touch. My ankle is slightly swollen and that subsides in roughly 2 days. For the next 3-4 days I find myself being really careful with clothes and shoes rubbing on the area. It isn’t painful, however it begins to feel slightly itchy and any friction proves to be uncomfortable. By the 4th or 5th day it feels completely normal and I forget I have even had a treatment done! Every morning and night I apply Dr Hauschka After Sun cream to assist in healing. Mike- For around an hour after treatment, I felt like I had been to the beach all day and was sun burnt. Fortunately in the coming 1-2 hours this pain disappears almost completely and the area becomes numb. Over the following days the area is swollen, and itchy. 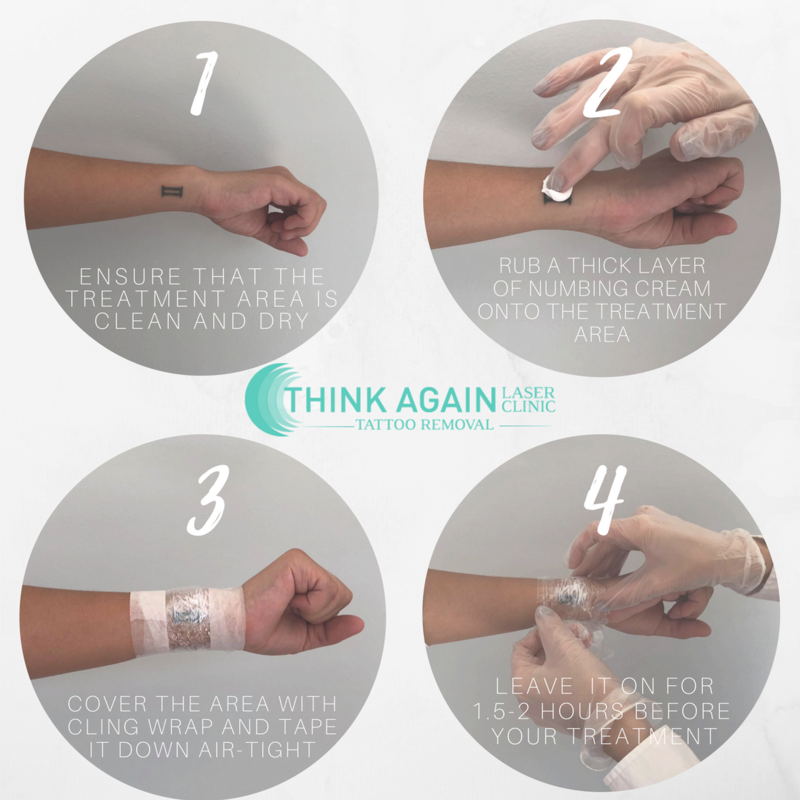 Rubbing against clothing is irritating so I recommend dressing appropriately and keeping the area lightly bandaged to stop any irritation. I used Dr Hauschka After Sun cream morning and night to increase the healing process. Look here to know more in detail about Are Your Tattoos Affecting Your First Impressions ?